The Football Front: Jamie Carragher's passing style against Stoke - Is it successful for Liverpool in the long term? Jamie Carragher's passing style against Stoke - Is it successful for Liverpool in the long term? 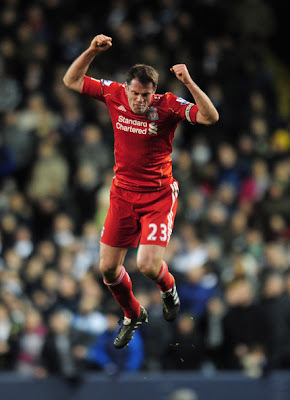 Jamie Carragher IS Mr. Liverpool. His committed, never-say die attitude and his desire to win make him often stand out on a football pitch. Clearly, there aren’t many players in the modern game who can boast that they have played for one team throughout their career. But Jamie Carragher is one of the few who can. A footballer’s career doesn’t last that long, especially in the highest and most demanding leagues such as the Premier League. Some argue Jamie Carragher’s time at the top is slowly coming to an end. Stokes defeat of Liverpool raised some eyebrows on whether Jamie Carragher, 33, is good enough to continue being a certain starter in Liverpool’s staring XI. Indeed, it was Carragher’s mistake which cost Liverpool the penalty – which turned out to be the winning goal. Furthermore, there have been arguments that two of the three Liverpool goals conceded in the league this season have stemmed from a Carragher mistake. 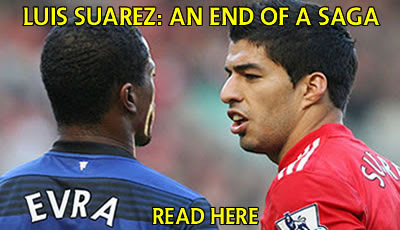 However, besides the penalty issue, the performance of Jamie Carragher created more questions. For example, his insistence to drop deeper than the team’s defensive line. Indeed, Carragher has lost some of the pace he had from his peak days. So in order to read the game better and reduce the chance of the attacker to getting the better of him via their pace, Carragher has to drop deeper. But an argument stems from Carragher’s decision to drop deep. If the Liverpool vice-captain drops back, it has an effect on the defensive line. It can lead to a lack of organisation at the back, thus making the defensive line easier to exploit. 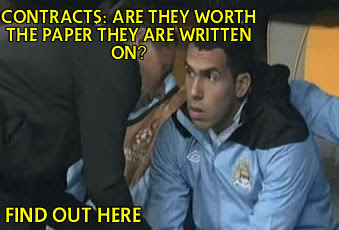 However, it would be extremely naïve to fail to mention Jamie Carragher’s invaluable qualities. His leadership and organisation skills are sensational. The defender is fantastic in helping younger and less experienced players deal with the demands of the Premier League especially within the match. Furthermore, his passion, commitment and drive for Liverpool is contagious and inspires the players and fans alike. It’s transparent Carragher’s defensive partner, Daniel Agger has a contrasting style to him. Carragher on one hand is perhaps a limited centre back, who can offer a great deal defensively but little going forward. Whereas Agger, offers a solid defensive out look, similarly to Carragher. But he can also make deep runs into the midfield. This is assisted by his ability to superbly pass the ball to feet. Against Stoke, Daniel Agger appeared to impress far more than Jamie Carragher. But why is this the case? Was it solely because of the penalty incident? Or was it because of the style of play both players adopted? Here is a look at how both players passed versus Stoke. Before we analyse, one must appreciate the passing statistics of both players. As the stats prove, both players had a very similar pass completion rates. But looking at the diagram, the two contrasting styles between both players can be visibly seen. Jamie Carragher’s passing was more direct and he chose to play long balls. This has been the case for most of this season. In fact, Jamie Carragher has been accountable for 41 out of 180 of Liverpool’s long passes this season. While Daniel Agger plays the ball far shorter and passes predominantly into the midfield. This season, Agger has only attempted 15 long passes, a massive disparity in comparison to Carragher’s long ball attempts. The diagram below proves, Carragher’s long ball’s were largely unsuccessful for Liverpool against Stoke. All of Jamie Carragher’s 10 unsuccessful passes came in the form of long balls. To some, Carragher’s failure with long balls is unsurprising. After all, it is harder for Carragher's team mates to regain possession and it's easier for the defending team to dispossess the ball whilst an attacking player is trying to control the ball. Furthermore, against Stoke, there is a small chance that long balls will be successful. Stoke are renowned for being aerially dominant and are arguably, long ball specialists. So clearly there is an unlikely chance of Liverpool beating Stoke at their strengths. Jamie Carragher is obviously aware of Stoke’s strengths. But why did Carragher choose to play to Stoke’s strengths? The answer is relatively simple. Firstly, Carragher’s unwillingness to venture forward and Stoke’s pressure system meant that, passing it long was Carragher’s only way of getting the ball forward. Indeed, Carragher could have passed out wide, but Jordan Henderson (who started the game on the right) likes to receive the ball in a more central area of the pitch. Thus meaning, there wasn’t a natural wide player for Carragher to pass to. If Jamie Carragher was blessed with pace and acceleration, he could have been able to run with the ball into a wide right area. Just like Glen Johnson and Martin Kelly do for Liverpool. But Carragher’s incapacitity to play at right back was constantly highlighted against Stoke. However, Jamie Carragher is still a very capable centre back. But in some respects, his passing style doesn’t suit Liverpool’s overall style. Liverpool’s midfield like to receive the ball from the back, in order to impose Liverpool onto the opposition. This fits ideally into Daniel Agger’s passing style, but his partner Carragher does pass into the midfield at times, but he is known to be more direct and choose to pass it over the midfield to the striker. The Agger and Carragher partnership has proved it can work. But, at this moment of time Jamie Carragher’s style of play, especially his passing style, seems to be cause for concern for Liverpool. Indeed, once Jamie Carragher gets a few more games under his belt, his passing, tackling and positioning will naturally improve. But Liverpool need to find a long term successor for Jamie Carragher. The committed vice –captain cannot be expected to be able to continuously compete with the Premier League’s most powerful and fastest strikers. Not only will it affect Carragher’s game, it will have a detrimental effect on Liverpool’s performances too.